Ovarian Cancer Australia has welcomed the appointment of renowned Board director, Marina Go, following the departure of its current Chair. The organisation’s outgoing Chair, Paula Benson, will step down after eight years at the helm of Ovarian Cancer Australia. She will instead support the work of the Board by leading a new committee to drive research and advocacy. CEO of Ovarian Cancer Australia, Jane Hill, said Benson’s contribution was nothing short of extraordinary and praised her for her “incredible passion”. “She has represented OCA and consumers on gynaecological sector committees, helped to raise awareness of ovarian cancer by sharing her story, provided steward-ship of strategy and risk, made a substantial contribution to public affairs, media and communications and brand, and overseen significant and substantial financial and organisational growth,” Hill said of Benson. Benson, an ovarian cancer survivor herself and the 2017 recipient of the ‘Jeannie Ferris Cancer Australia Recognition Award’ for her contribution to improving outcomes for women with gynaecological cancers, joined the Board four years after diagnosis. “I am proud of the exceptional work the Board has done in supporting and advocating for women and their families who have been impacted by ovarian cancer, the leadership role we have played in raising awareness of this disease, and setting the research agenda as well as funding high impact research,” Benson said. Ovarian Cancer Australia has announced that Go will replace Benson as Chair. She was appointed to the Board in 2018 and brings with her significant experience in governing and leading organisations, innovating in disrupted sectors and providing expert guidance around media communications and consumers. Go was named one of Boss Magazine’s 20 True Leaders of 2016 and has written a business book for women, ‘Break Through: 20 Success Strategies for Female Leaders’. She is Chair of the West Tigers National Rugby League (NRL) team and is Non-Executive Director of The Walkley Foundation, Energy Australia and many more. 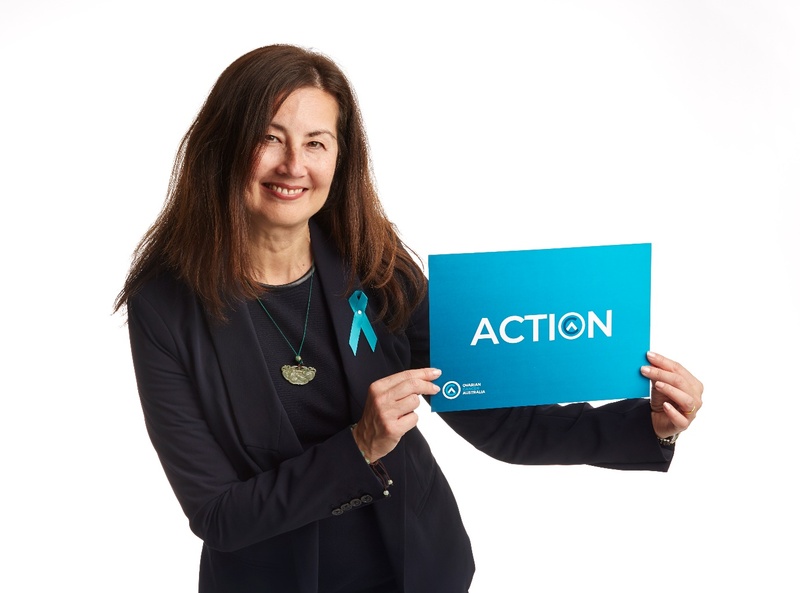 “I’m absolutely committed to Ovarian Cancer Australia’s vision to save lives and ensure no woman with ovarian cancer walks alone as well as our ambitious goal to reduce the incidence of ovarian cancer and improve the disease’s survival rates by 25 per cent by 2025,” Go said.